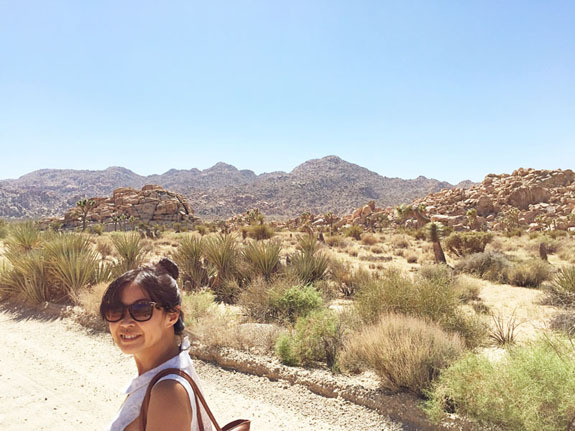 Took a quick weekend getaway to Palm Springs last weekend - my (belated) 30th birthday present from J - where the highs were well over 100 degrees! "WHAT ARE YOU THINKING?!" 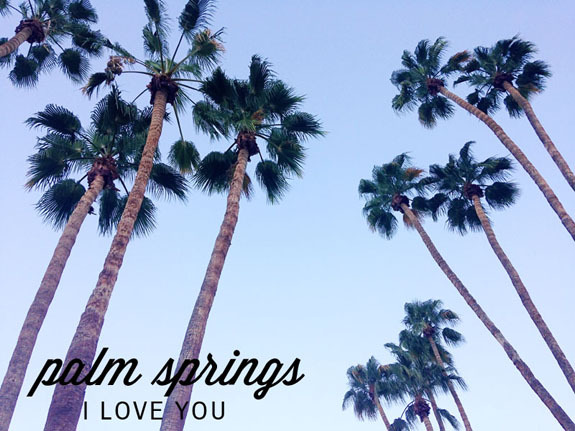 is the reaction that I got every time I told someone I was going to Palm Springs in August, and after awhile, I started to think the same (especially after I started figuring out that a lot of businesses close in he month of August)...but actually, the heat wasn't toooooo bad. 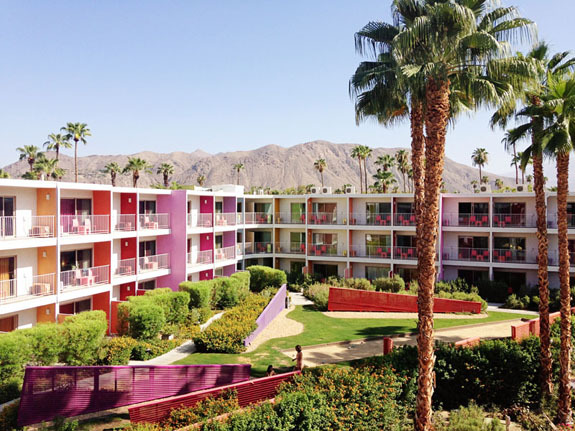 I had been dying to go to Palm Springs for awhile after admiring all the super cool photos that a lot of bloggers have posted about their own trips, so I was super excited to head there myself! Our first stop in Palm Springs was Cheeky's. I had read lots of good things about this place, so I was excited to try it for myself! The wait was short since we headed there on a Friday afternoon, and we were there during their slow season (they actually took their summer holiday for the month, and had just happened to reopen the day before we arrived - yay!). 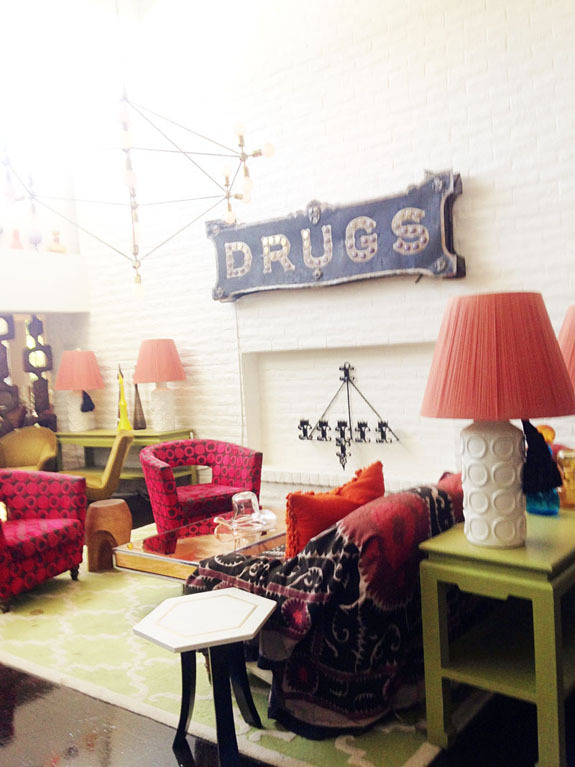 It has a super fun, funky vibe, and the menu has some unique items. We ordered a bunch of stuff: the chilaquiles; buttermilk waffles with figs, ricotta, and almond slivers; the bacon flight; pesto fries; and a cheddar scone. Everything we had was super tasty. Birba, which is Cheeky's sister restaurant and next door, was at the top of my list of dinner, but was sadly still closed for their summer holidays. 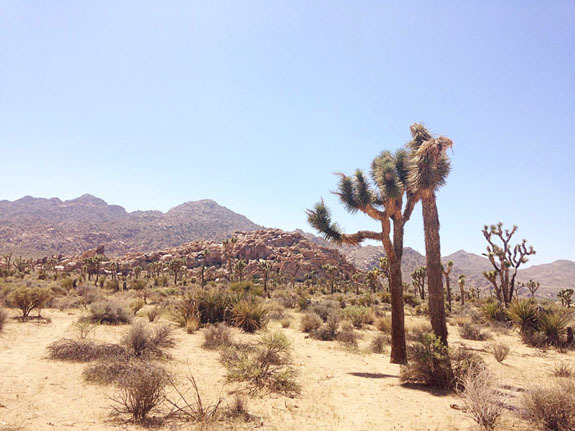 We then drove out to Joshua Tree for a little bit. It was probably 10 degrees cooler there than in Palm Springs proper, and there was a nice breeze so we took a little stroll around. It was super empty, so it almost felt as if we had the entire place to ourselves which was awesome. And of course, there were lots of cool photo ops! 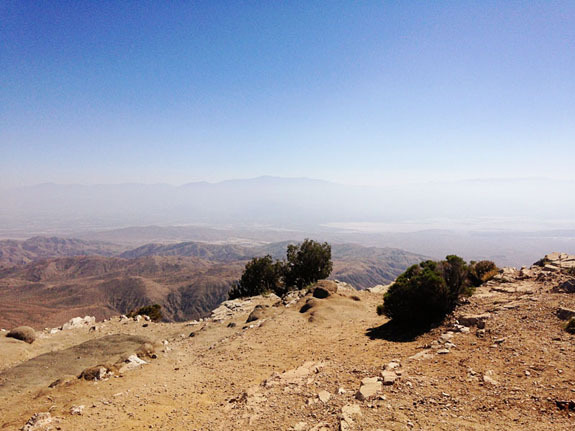 We went down to Keys View to admire the view of the So-Cal smog the valley and the surrounding mountains. Drove back into town to check into the hotel. 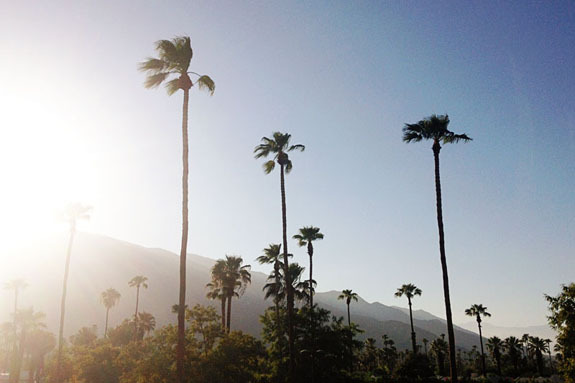 The real reason I dragged us to Palm Springs in the midst of the scorching hot summer? There was a really good deal for The Saguaro that I couldn't pass up (geez, I wonder why - it was only 105 degrees!). 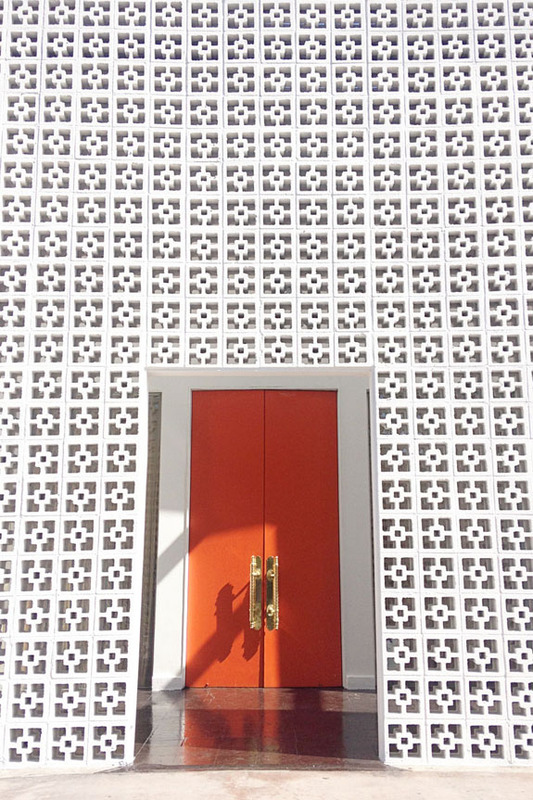 I'd seen so many photos of this hotel and was dying to stay there because of the cool design. 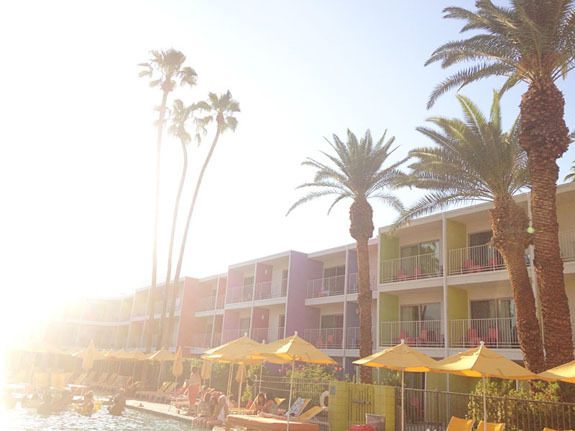 It is seriously the most photogenic hotel. I took a million photos of it. I loved all the color! Could not stop admiring it all weekend long. The lobby and rooms were superbly decorated as well. 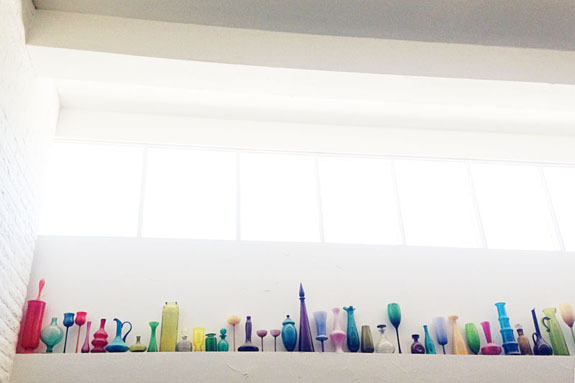 Everything there is just a feast for the eyes. 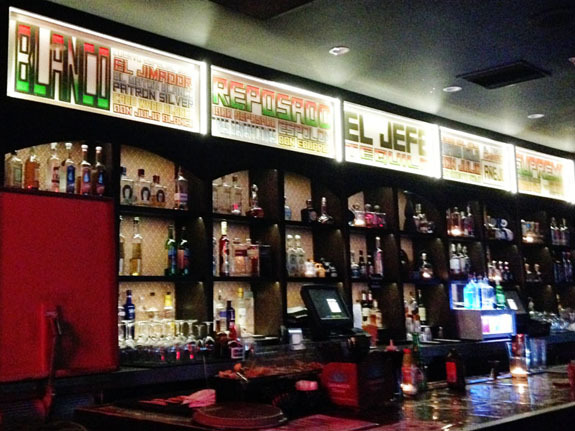 We spent a lot of time at El Jefe, the in-house tequila bar/Mexican restaurant. 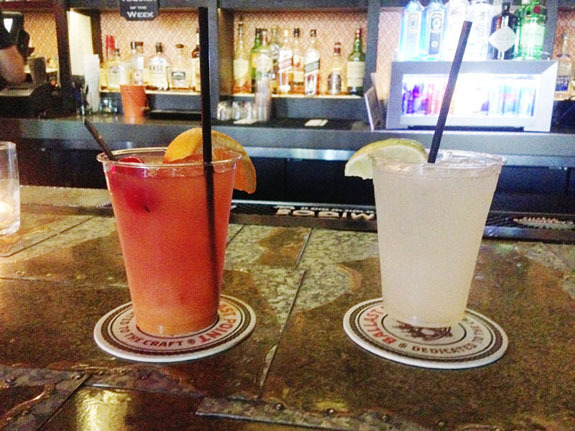 It is owned by Iron Chef Jose Garces, and known as one of the best tequila bars in the country. 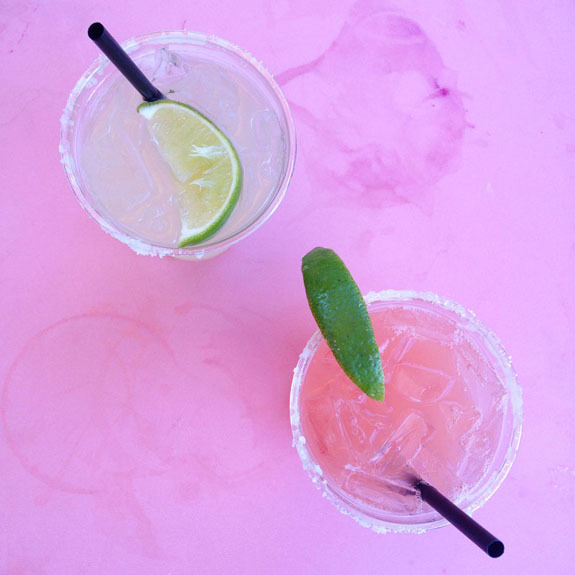 I am not usually a huge tequila drinker (I have been turned off by bad reactions to the super cheap stuff), but I was all about the margaritas here.They let you order the drinks to go, and take them to the pool, so we kept doing that instead of ordering from the pool bar. The nachos and the guac there was are also ah-maaaa-zing. Wanted to try the tacos too, but never had enough room in my stomach. Dinner the first night was at Johannes. It is a favorite of locals - our Uber driver even told us that we were in for a treat when we told him we were headed there. It has a really classy vibe without it being super stuffy. The food was super delicious - I didn't even take photos of my meal! We started with the Cheese Spatzle, and both ordered Schnitzels, which is their specialty (they have a bunch of different versions of it). The portions were huge - I was stuffed after half of dish. Stopped by Great Shakes for some milkshakes for dessert. Totally hit the spot. 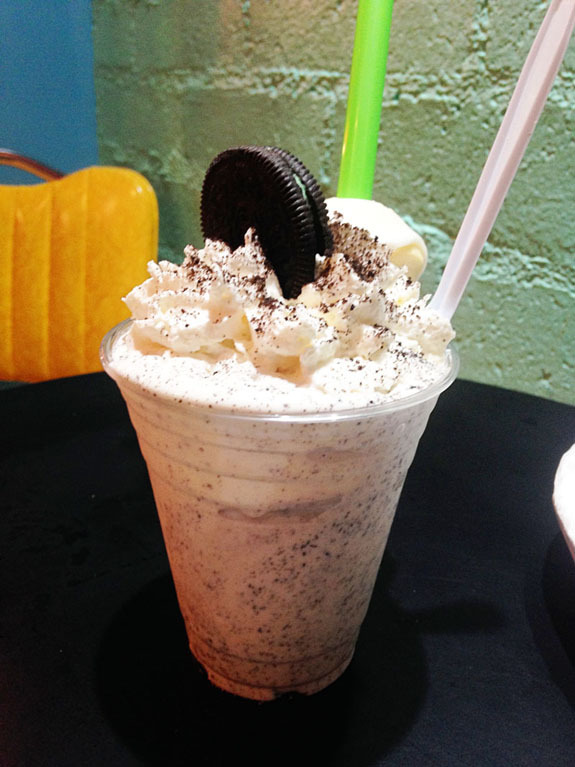 Had a mint oreo shake - it was super intense but super yummy. 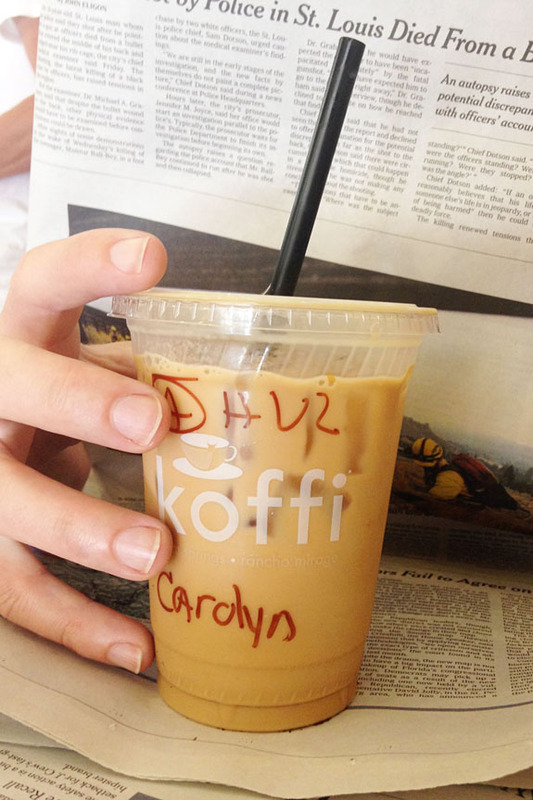 Our first stop the next morning was Koffi. The coffee was great - we both enjoyed the honey vanilla latte. We enjoyed it so much that we HAD to make a stop the next morning on the way to the airport and almost missed our flight because of it. OOPS. 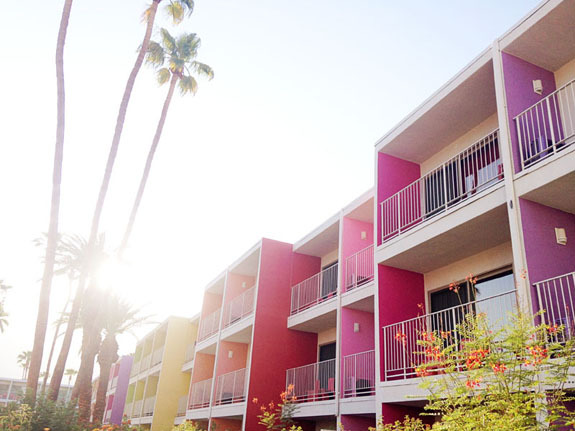 The entire hotel is pure eye candy - it is designed by Jonathan Adler. I just wanted to move in, IMMEDIATELY. We had brunch at Norma's. 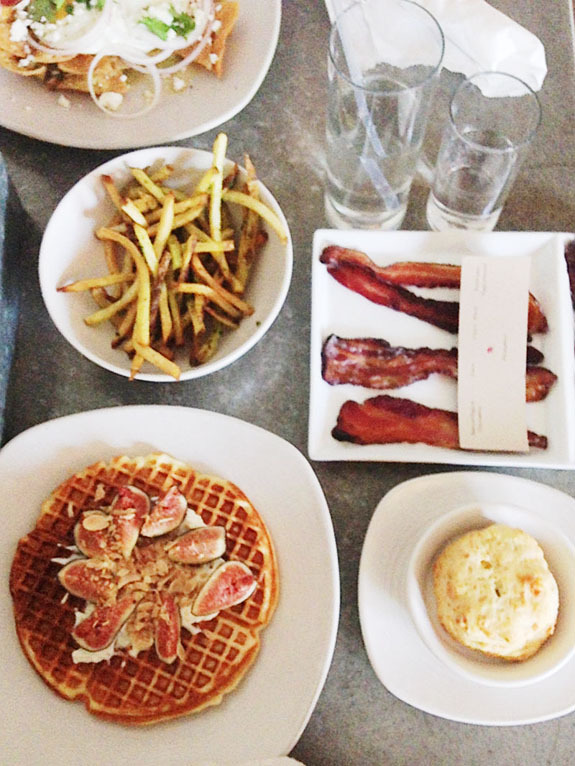 Definitely one of the best brunches we have ever had! 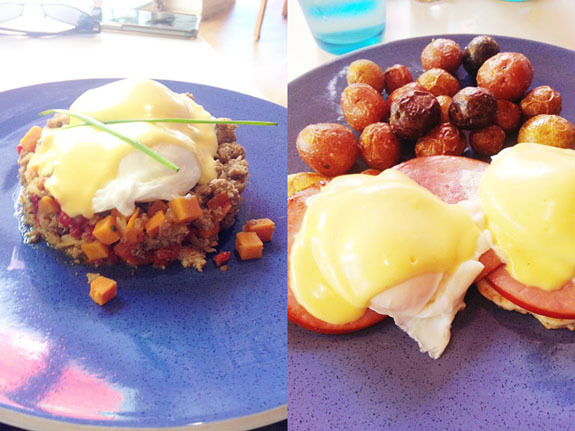 J had the turkey and sweet potato hash, and I had the Norma's Benny, which was on pancakes instead of English muffins. So good! 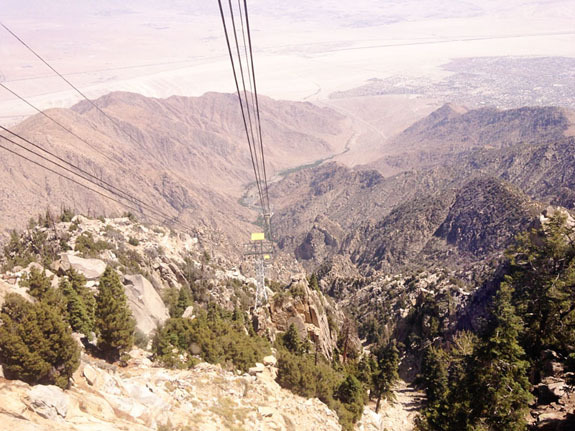 After brunch, we headed up to the Aerial Tramway. There were some amazing views on the way up. One of us had a shirt soaked in sweat because of a fear of heights (hint: not me!). 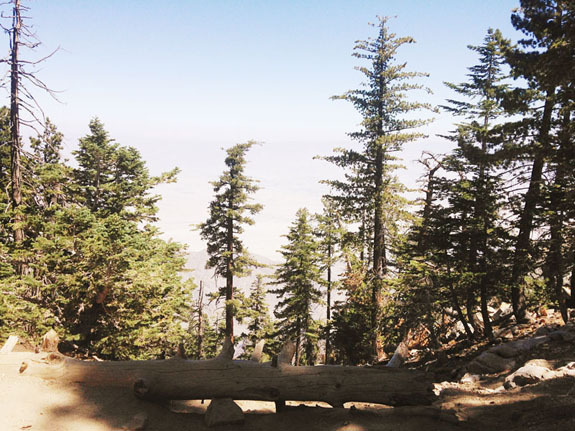 The elevation at the bottom is about 2600 feet, and the tram takes you up to the top, which is at about 8500 feet. The biggest selling point for doing this was that it was 30 degrees cooler at the top - all of a sudden, you are out of the desert, and in the mountains. 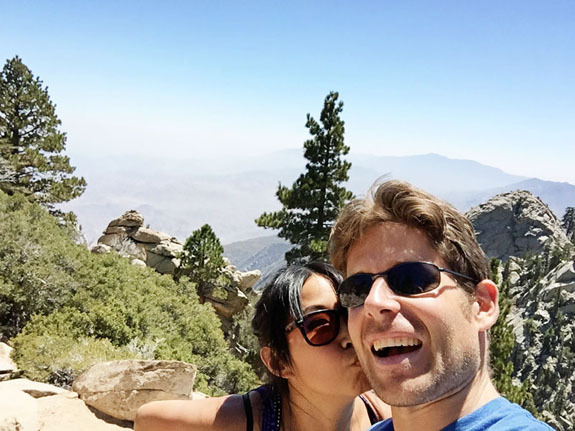 We did the desert view trail, which had some awesome views of the valley. 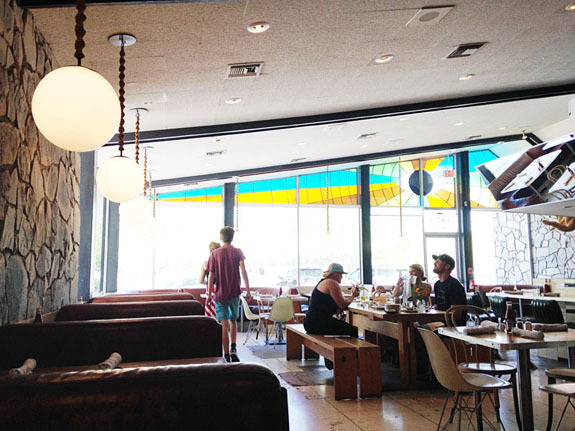 Afterwards, we headed to the Ace Hotel and made a stop at King's Highway, where I had an excellent burger. 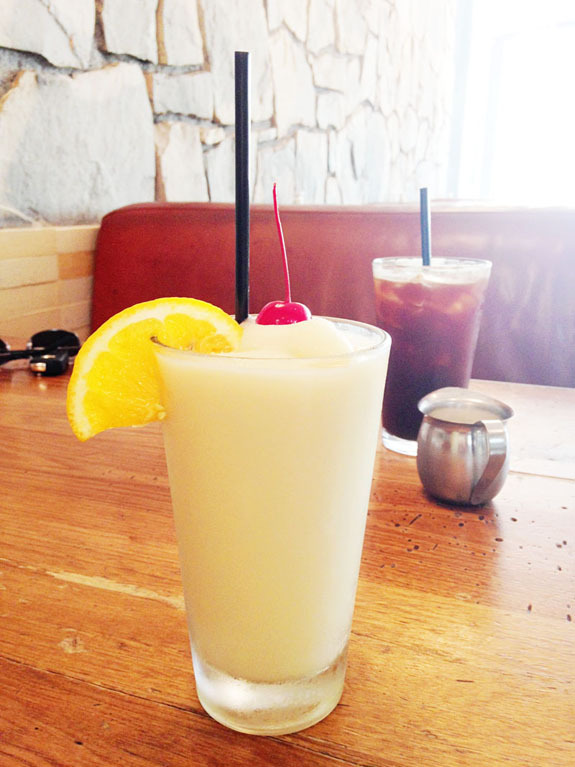 Also had a pina colada, which really hit the spot. They filmed a scene of Mad Men, so it was cool seeing it in person. 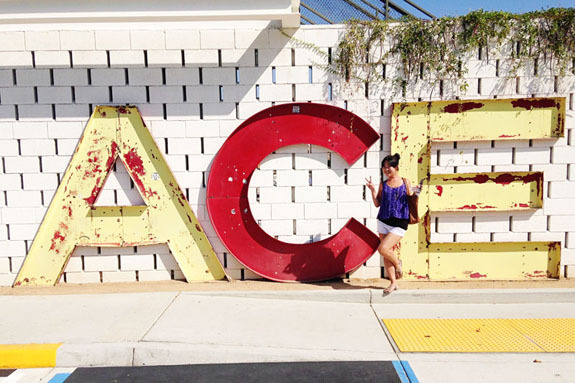 We also jumped in the photo booth, and then of course i had to take a photo in front of the Ace sign! 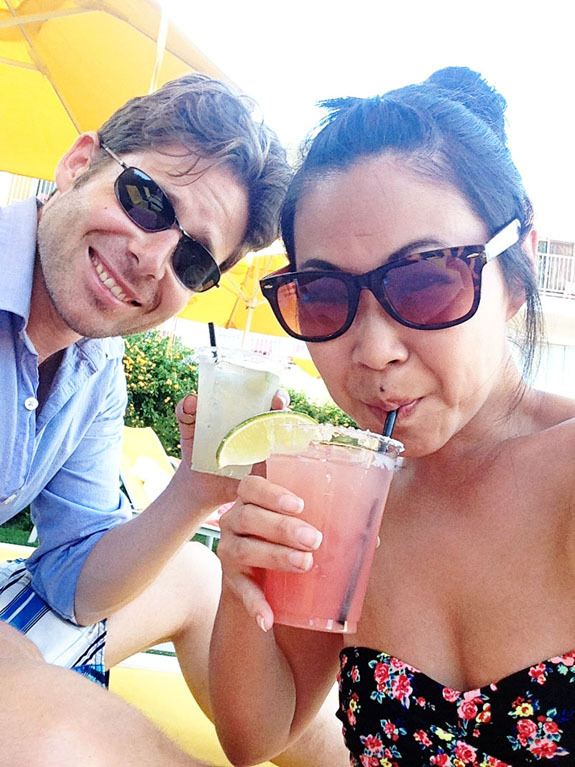 Back to our hotel, and of COURSE we had to have more pool time with margaritas. We had dinner that night at Tinto, which is the other restaurant in the Saguaro (and also owned by Jose Garces). We ordered a million things, and everything we had was delicious. 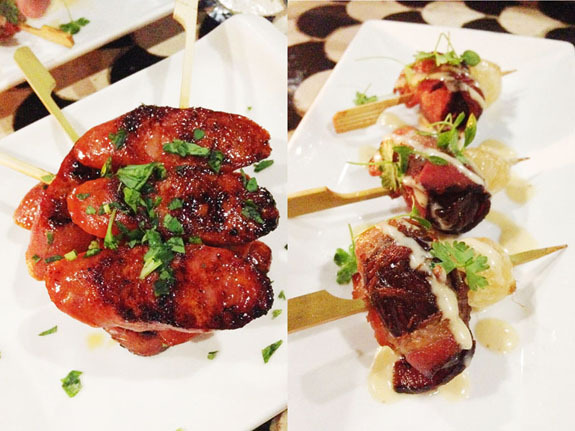 My favorites were the bacon wrapped dates (pictured on the right), and shrimp in a garlic-lemon sauce (the table next to us ordered and we just HAD to get it ourselves, because the sauce smelled sooooooo good). Looks like an amazing trip! 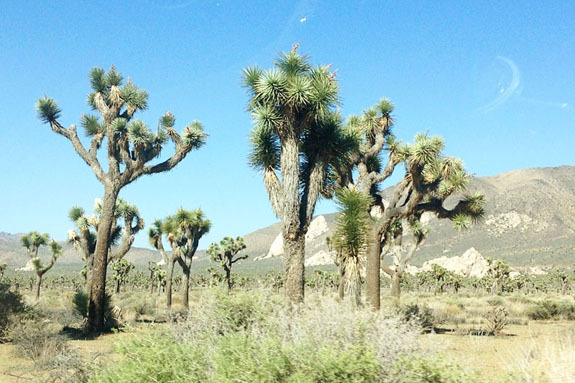 Love it out there, especially Joshua Tree.